In this engaging and often entertaining tale, a professor travels the world to find out how religion impacts the environment. Though the book establishes the author’s credentials early on, it goes out of its way to be readable and funny, emphasizing the environmental efforts of ordinary people and engaging exactly the way an academic treatise would not. The book’s strategy is clear: speak to those who have an active stake in environmentally conscious religion. It is a winning plan, and even those who have never before considered the environmental impact of worship practices will find themselves engaged. 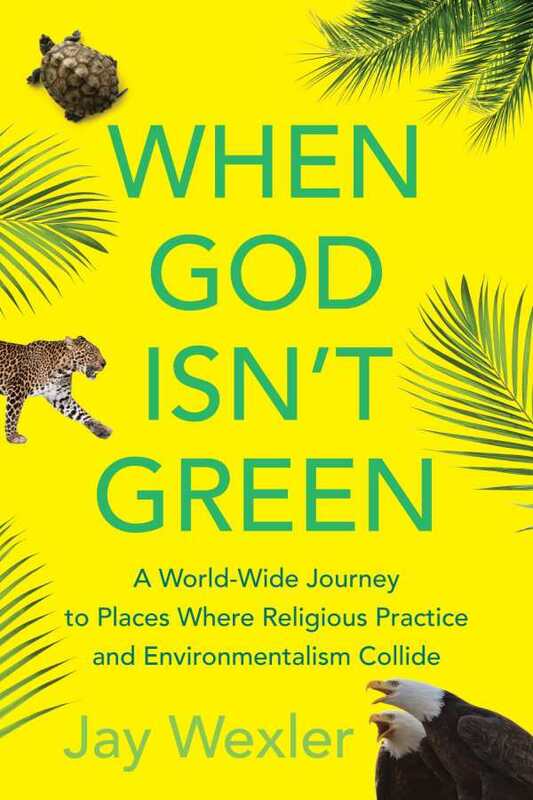 When God Isn’t Green is frank about the harmful side effects of religious practices, from the Catholic Church’s appetite for tropical palm fronds to the Hindu practice of submerging painted statues of Ganesha in open bodies of water. No tradition is spared, but all are treated respectfully. The result is thought-provoking and educational without ever verging on offensive. Wexler’s argument in favor of government regulation of environmentally unsafe religious practices is sure to spark debate across faith communities.